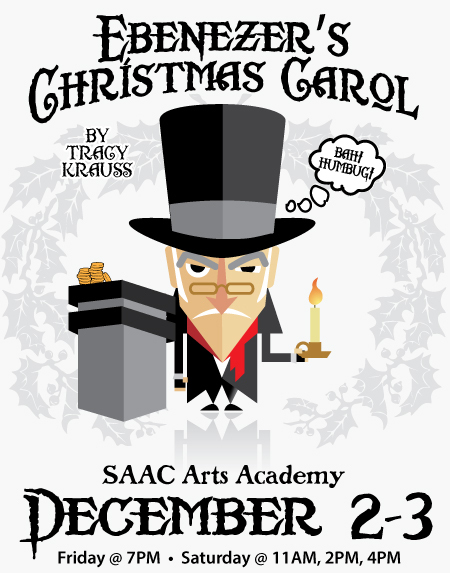 You and your family are invited to see holiday entertainment in the Callaway Theater this Friday and Saturday. The children’s drama classes, grades 2-8, will present two short holiday plays with the curtain will going up at 7:00pm on Friday, December 2. On Saturday, December 3, the show will play at 11:00am, 2:00pm and 4:00pm. Ticket price is $5.00 at the door. “Ebenezer’s Christmas Carol” will immediately follow “Redheaded Robbie’s Christmas Story”. 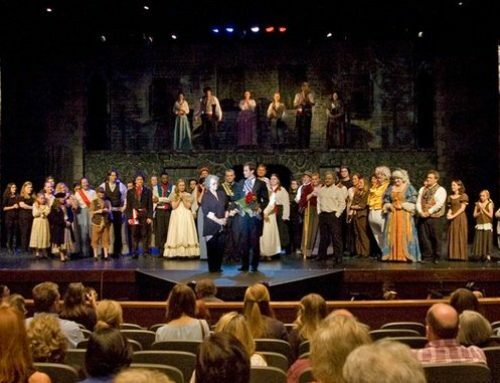 The two plays combined last no more than an hour, making them the perfect entertainment for younger audiences. Children’s drama program coordinator, Shelton Harden, and the children have been hard at work getting ready for these heartwarming holiday stories. Rehearsals and set making have taken much of their time, and they are so excited to share their work with the public. This is a first time stage experience for many of these talented kids, so you can imagine their excitement level! 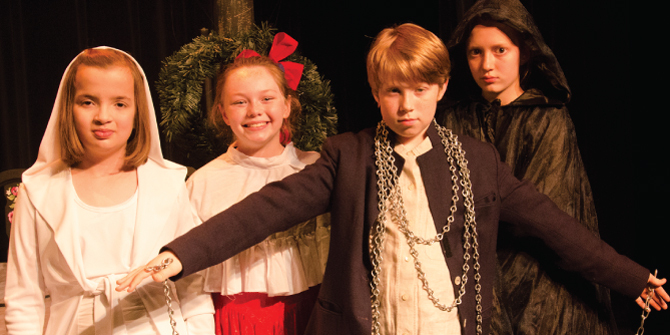 “Redheaded Robbie’s Christmas Story” will be presented as a Reader’s Theater production. Harden said about this show, “One student from Mr. Wallace’s second grade class will be chosen to tell a special Christmas story at the school assembly. When Redheaded Robbie’s name is pulled from the hat, the class groans. Poor Robbie! Whenever Robbie is excited or nervous, his words come out all twisted and confused.” You will love this funny little story about love and friendship, and your children will giggle all the way through. What a great way for your family to kick off the holidays! You will be thrilled to hear some classic Christmas carols and see these talented kids having their proud moments on stage after months of rehearsals. You will leave with hearts full of Christmas Spirit and appreciation for a job well done by the actors.